Artist Nation, the artist management division of Live Nation Entertainment, has partnered with music manager Virginia Davis to launch G-Major Management. Davis’ client roster includes Jewel and Thomas Rhett, and most recently added Danielle Bradbery, the season four winner of NBC’s The Voice. “We are excited to be in business with Virginia, she is a superstar. The recent signing of Danielle Bradbery is a great beginning to what we know will be a flourishing business,” stated Live Nation Entertainment’s President and CEO, Michael Rapino. 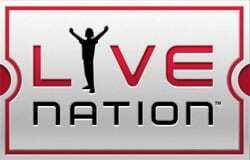 “Partnering with Live Nation will enable G-Major to offer its artists a first-rate experience in the industry. I look forward to working together with Live Nation to continue to expand the G-Major artist roster,” said Davis.